Peel Here #54, Hi, I’m Cy-Kill, I’m Evil. What, a, side do you fall on? Wow, I really need to get back on the Cartoon Commentary! column. This is the effect the holiday season has on me though as my wife and I turn into human pinballs (as if we were caught in some nefarious trap by the wizard of evil-tainment Arcade), bouncing back and forth from one family gathering to the next, planning for trips out of state, and doing our best to shop while not completely putting ourselves in the poorhouse. Sigh, to be 8 again, without all the silly pressures of being an adult. Anyway, if nothing else, I am making sure to keep up with these Peel Here columns, if only because I did most of the hard work ages ago. 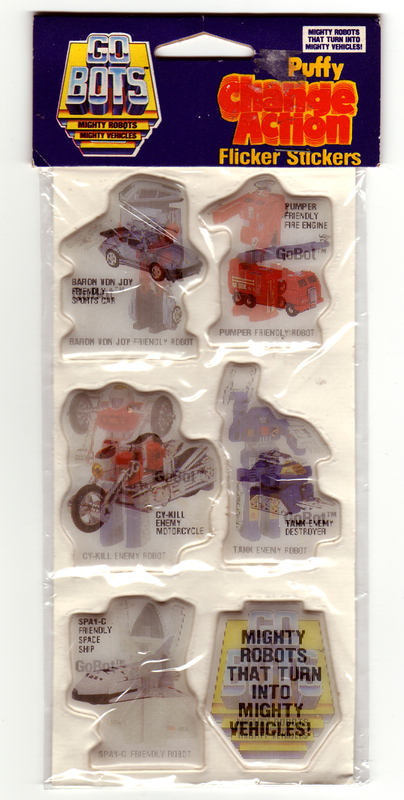 I know of at least three sets of these stickers, though I’m pretty sure there were probably four total (as most puffy sticker sets in the 80s seemed to come in four separate variety packs.) Also, similar to their Transformers lenticular stickers, these Go Bots stickers feature imagery culled from the toys instead of their animated counterparts. 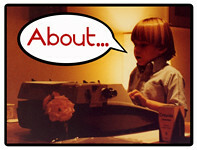 What’s kind of cool is that Gordy ended up using photos of the actual toys unlike the transformers stickers, which featured the box art. I wonder which side Zod Monster was on? It’s questions like these that always lead back to my desire to own all of the 80s cartoons. Sure, I could look this stuff up on the internet, but I also enjoy the direct approach to research, going straight to the original material. Peel Here #79, the only variation on baseball where the managers don’t threaten the umpires, because they’re probably vampires!